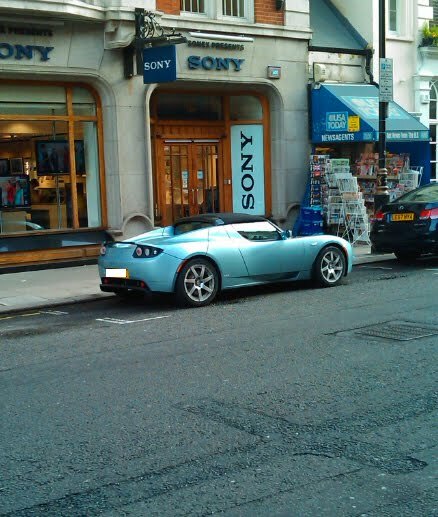 Hmmm, have I espied the only Tesla in the UK? I mean, they’re made here (the body’s based on a Lotus) but I didn’t think any were actually on Britain’s roads ,and this one appears to be right hand drive too. Whatever, it’s a great indication that electric vehicles are becoming more and more viable for everyday driving.